I am SO Super excited about this! We go through so much bottled water in our house, and I hate using all those bottles. 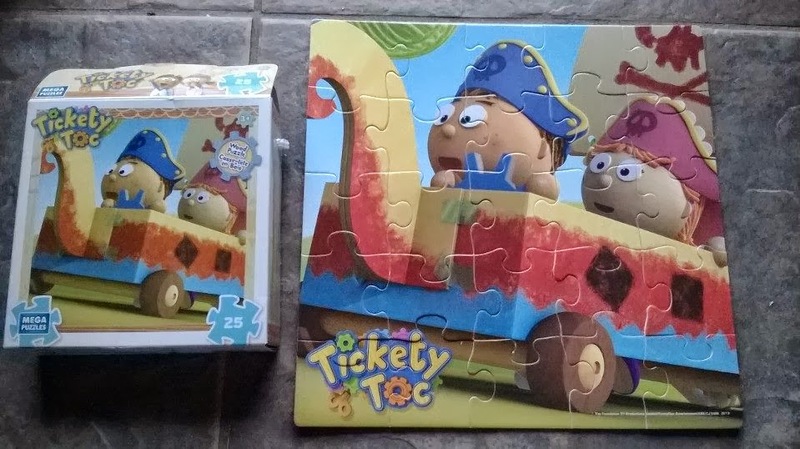 My kids love the newest show on Nick Jr called Tickety Toc. 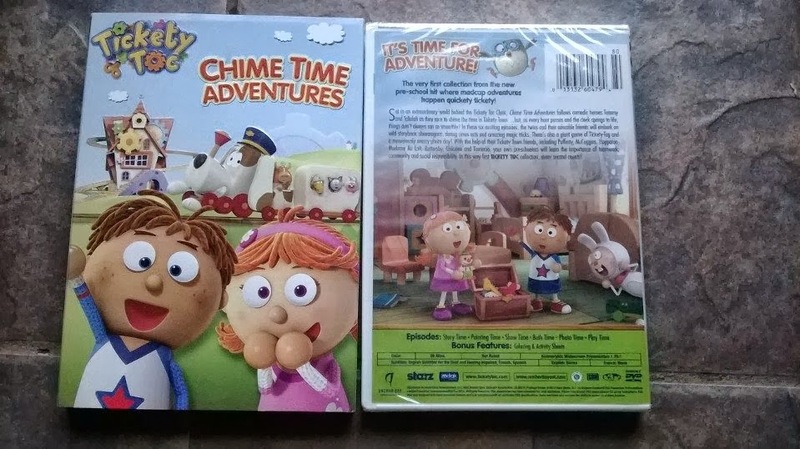 The show is so well watched that it already has a DVD out called Chime Time Adventures. Tickety Toc Chime Time Adventures DVD is packed full of fun and excitement which will keep your kids entertained for 6 full episodes! The episodes include magic tricks, circus acts, messy photo day and more. Tickey Toc is a fun show which 2 kids learn life long lessons and have fun doing so. Its a great way to teach your child problem solving skills, communication and more. 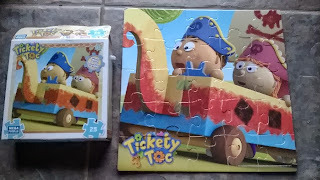 Tickety Toc is on Nick Jr 7 days a week, the show is basically about problem solving as the two characters go through the town of tickety helping friends and learning life long lessons. Check out a episode of Tickey Toc and look for toys in most major retail stores. My kids love the newest show on Nick Jr called Tickety Toc. My kids also really like puzzles so it was great to be able to tie the two together. The puzzle is wood pieces making it last longer and it is 25 pieces which is great for any beginner builder. I find puzzles are a great way to help with hand eye coordination, imagination and more. 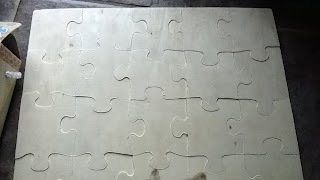 Puzzles help the mind stay smart because you have to be good at problem solving for most puzzles so it is great to be able to let my kids play with a toy that brings out the smart. Check out a episode of Tickey Toc and look for toys like this and others in most major retail stores. If there is one thing that gets me frustrated when we are out, is when the kids are yelling that they can't hear the game they are playing on my phone because of all the talking. Then comes the endless search in the car for the earbuds, which inevitably are never there. Sometimes this sends Riley into a meltdown. He NEEDS his earbuds when he needs them. Recently, I was offered the chance to try out Sound Pockets. Sound Pockets are awesome iPhone cases that have a compartment in the back that hold...you guessed it, earbuds! The earbuds are already included with the case, and I love that they are always at hand. They can be purchased for about $34.95 and are available in a variety of colors. When you purchase an Apple iPhone 5 you receive a handset and pair of companion headphones. These two devices are made work together, yet present the challenge of how to keep them together. Sound Pockets has conquered this challenge with a sleek, ergonomic, 2-in-1 combo, protective Freedom Case that organizes a companion set of headphones and stores them alongside Apple's iPhone 5. You won't lose your earbuds and you'll stop the nasty tangles and knots. Disclosure: 7 Kids and Us did not receive any compensation for promoting this event. This giveaway is no way sponsored, associated with, endorsed, or administered by Facebook, Twitter, Pinterest, Google or any other social network. Sponsor is responsible for prize fulfillment. If you have questions please email Jennifer at simplysoutherncouponers@gmail.com. Xander and I really love our new ritual of washing our faces together before bed, I hope I am teaching him a lifelong lesson on being clean! If your kids are like mine, they are always asking to use your tablet. I have never had a problem with that, until one day, Xander was playing a game I had downloaded that wasn't really kid friendly. I knew in that moment that I wanted to give him a tablet of his own, with only kids apps. ClickN Kids Tablet comes with 8GB internal storage, a front facing camera, built in stereo speakers, dual core processor, battery life up to 5 hours, wi-fi, and video and music players. The ClickN Kids Tablet also comes with a bunch of kid friendly apps pre installed, like Looney Tunes Phonics which has several levels from pre-k to 3rd grade. One thing I really like about this tablet for kids, is that it also has all the features of an adult app, so if I need to use it for something, I just "unlock" the adult section by using the 4 digit pin I assigned when I set it up, then I have access to Google, Facebook, You Tube, just like my own tablet. When Xander an Riley first got the tablet, they were so excited! They loved almost all of the 30+ apps that came pre-installed. They have been good about taking turns playing it, and I am loving the Looney Tunes Phonics! Be sure to follow ClickN Kids Tablet on Facebook, Twitter and Pinterest to keep up with the latest news. So, just about ever boy in America knows who Angry Birds are. My boys are no different. From the moment they came across the app, they wanted in on the fun. We have downloaded every app available for Angry Birds, and they always want more. So they were really excited when Angry Birds Star Wars released an update a few weeks ago. What's even more fun, is that now with the Angry Birds Telepods, they can use real-life toys in the game. With the set is also all the cute toys shown above. My boys had a blast playing real life Angry Birds Star Wars! he Angry Birds Star Wars app comes to life. 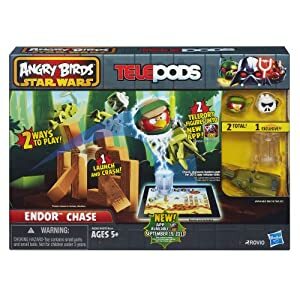 This line of Hasbro toys captures all the launching and destroying fun of the app in physical form and features your favorite Star Wars characters re-imagined as high-flying Angry Birds and villainous pigs. 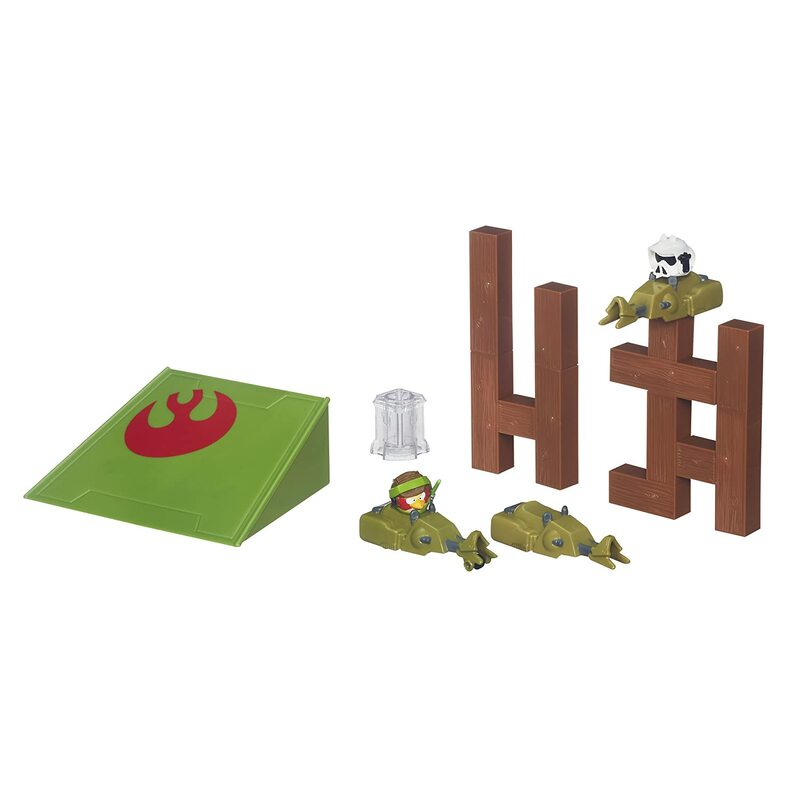 You can stack, launch and destroy the Death Star with the blocks, figures and launcher in the Death Star Trench Run set. Put your Luke Skywalker Bird figure in the X-Wing Starfighter launcher and pull it back on the ramp to launch it at the cannon turret on the blocks. Can you topple your exclusive Tie Fighter Pilot Pig figure? Destroy the Empire, then set the blocks up and destroy it again. Star Wars products are produced by Hasbro under license from Lucas film Ltd. Hasbro and all related terms are trademarks of Hasbro. Campus Book Rentals has over 1 MILLION happy customers. Why? Because they rent College text books. Way back in the fall of 2002 I entered College for musical theater. I had no idea at the time that I would be required to take Biology, Creative Writing, and some math class that I still can't even pronounce. I know from going to College that text books are EXPENSIVE! I am talking $150 and UP for one book! I really wish this company had existed back then, one of the major reasons why I stopped going to College was that I couldn't afford it, if a company like this had been around, it sure would have made it easier. CampusBookRentals.com does just that! You can go onto their site, and RENT a book! They offer FREE shipping both ways, 30 day RISK-FREE returns, Live customer support, The LARGEST selection in the NATION, they offer the most flexible rental periods and they have been trusted since 2007. The books you rent from Campus Book Rentals are 40-90% off bookstore prices AND it's ok to highlight in them (I know how important that is from experience). Another great thing about Campus Book Rentals is that they have a new program called Rent Back where you can rent your text book to another student! You can rent it out as many times as you want, and keep getting paid. Also, they donate to a great cause for kids called OperationSmile.org every time a book is rented. Operation Smile helps children who are born with cleft palate get cosmetic surgery. Recently Campus Book Rentals has started a program called "Rentback" where students can actually rent their own textbooks to other students! Apple surprised everyone at their event today by unveiling two new Macbooks for immediate release. They also announced a thinner lighter and more powerful iPad named the iPad Air and a brand new iPad mini with Retina display, both coming in November. Like the iPhone as the launch date for a new iPad gets closer, the value of older iPads will begin to depreciate rather quickly. To ensure consumers who are planning to upgrade to a new iPad get the most value out of their old device, Gazelle offers consumers the opportunity to lock in their price for 30 days . Those trading in their iPad Mini 16GB Wifi may be able to upgrade to the new iPad mini for about half price if they trade now. Gazelle is currently paying $175 for iPad Mini 16GB Wifi version, and with the new model price set at $399, the net cost of new iPad would be just $224. Additionally Gazelle is running their Become a Gazellionaire™ Sweepstakes where one lucky person will win $1 million.Visit Gazelle.com/sweeps for more info. Go to Gazelle today, see what your iPad or other device is worth, and trade it in for a chance to win $1 million! I remember back in 2002, my mom came home from work and she was SO excited. Her job had given her an HP printer to use at home. She went on and on about how HP was the best, and it was. She used that HP printer up until about 2010. It never had anything go wrong with it, ever. Since then, I have decided that HP is the printer for me. Recently, I was offered the chance to review an HP Envy 120 Wireless Color Photo Printer with Scanner and Copier, and use some of the awesome features like the Savings Center App. The Savings Center App, is an app that runs on the printer directly (like how an app runs on your phone) there is an icon for "Savings Center" and you can manage it right from the printer, or online. How it works is, the app sends coupons to your printer once a week, typically on Sundays, and your printer prints them out for you automatically! You can also choose to print out any coupons you like one at a time, or you can set it to print out your favorite coupons weekly. 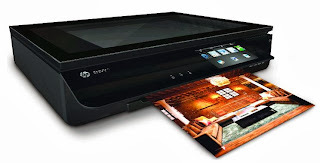 Some of the other features that I love, are that you are able to download the HP ePrint App and you can print from your phone anywhere and it will send it to your home printer. I love sending notes to my kids when I am out and they are home with Dad. 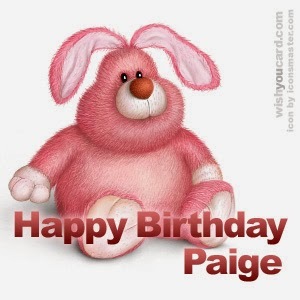 This is a picture I sent to the boys yesterday while I was at the store (I used my phones memo feature to draw it). The other thing I really like about the HP Envy printer, is that it has so many options for scanning. I can scan to my computer, my memory card, or my USB drive, which means my pictures never have to come to my computer at all. I can scan all my old photos, straight to the USB card. The kids are in love with the Apps. The HP Envy comes with a great variety of apps already pre-installed, but you can add more. Their favorite apps are the coloroing pages, and the Amazing Airplanes. Look what they printed, without my help, straight from the printer! No going online on the computer, just go to the printer, find what you want, and print! The apps also work like the savings center, they can pull new printables on a day of the week you choose, and automatically print all the new additions each week! My kids love waking up on Wednesday moring to see what cool new airplanes they can fly. All in all, I am using the Savings Center App all the time, I am so bad when it comes to printing coupons, I am always getting to them late, and they are gone. Now, I can guarantee that I will have my coupons even if I don't need to use it for a few weeks. Check back later this month, one reader is going to WIN an HP Envy of their own! I am joining with Penny Pincher Jenny to giveaway Thomas & Friends Santa's Little Engine to one lucky reader!!! My son would totally love this movie! Ho Ho Ho! Thomas is full steam ahead as a Really Useful Reindeer, saving the day by guiding Santa's sleigh straight to the Sodor Christmas celebration! When snowfall transforms the island of Sodor into a winter wonderland, Thomas discovers that being safe is the best route to holiday fun. Percy makes everyone's Christmas wishes come true and Gordon discovers his friends' special skills are the gifts that keep on giving, all year long! Thomas delivers the true spirit of the season as Santa's Little Engine! Want to win a copy of your own?? 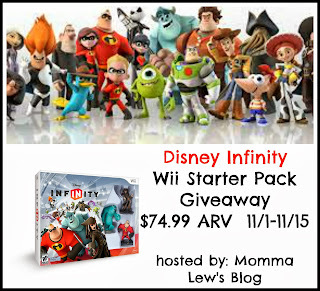 Enter below on the Rafflecopter to win!! Open to US residents only! a Rafflecopter giveaway My blog received no compensation for this giveaway and is not responsible for prize fulfillment. 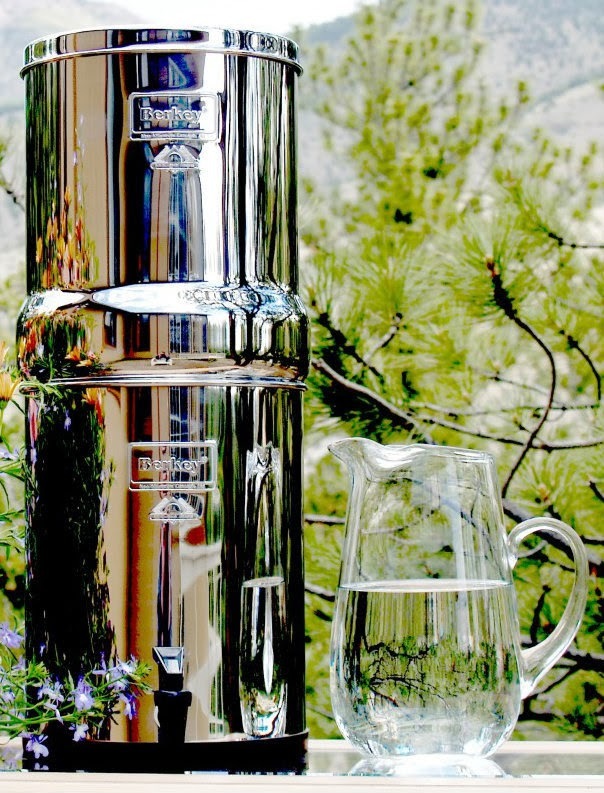 Check out this product and more at Everbuying.com! September is National Bullying Prevention Month. To bring awareness, One Direction is joining with Office Depot. One Direction has challenged its fans to help raise $250,000 for the Office Depot Foundation’s anti-bullying education efforts. Part of the money is being raised by selling exclusive 1D + OD products, including notebooks, bracelets, and nail polish. Each item encourages tweens and teens to exhibit positive attributes. 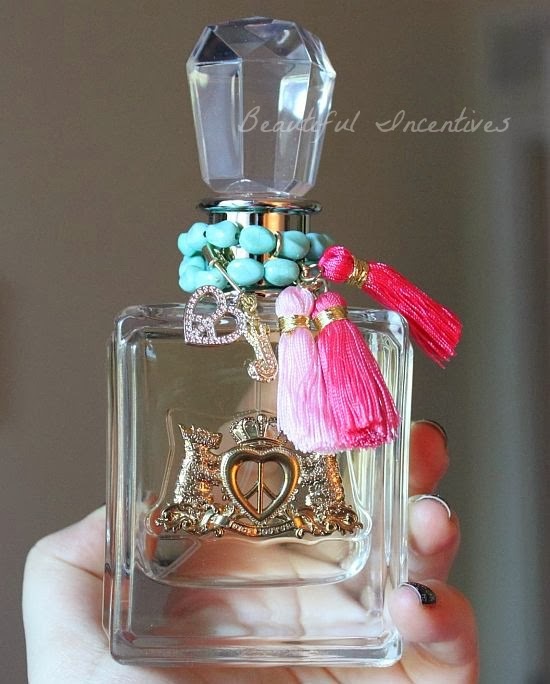 And each attribute is tied to a color and a One Direction member. There's nice (light blue), confident (purple), unique (green), original (orange), and true (navy). You can check out the full list of products here. A portion of the limited edition product sales will go toward the Office Depot Foundation's anti-bullying education program. Speaking of the products, we are joining with Drugstore Divas to give one lucky reader a tote bag filled with One Direction and Office Depot items. 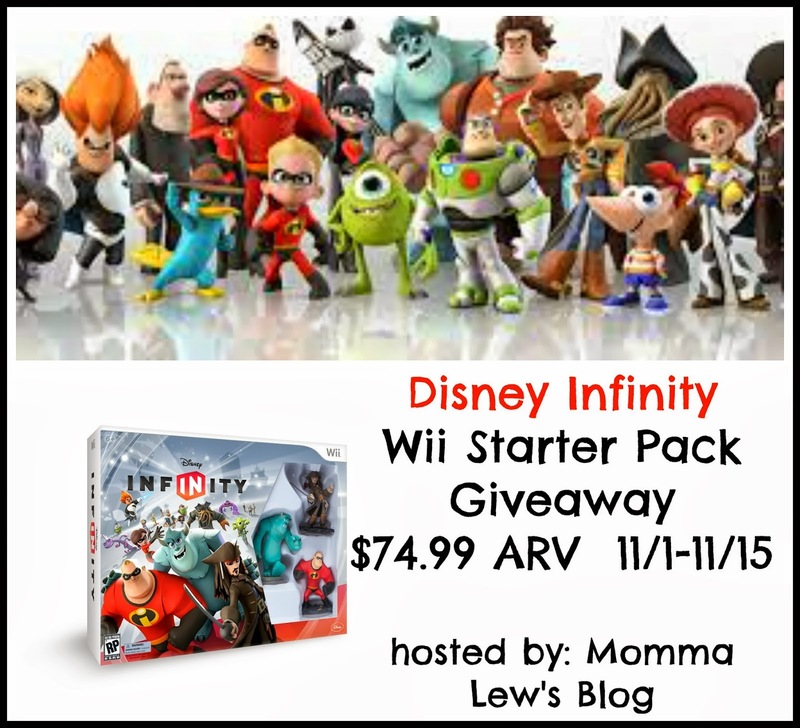 This giveaway starts now and ends at 11:59pm EST on October 26. To enter, use the Rafflecopter. The winner must be a US resident who is 18 or older. The winner will be contacted via the email address left in the Rafflecopter and will have 24 hours to respond before another winner will be selected. When I chose to home school my 2 boys, I knew that I would need tons of crafty things to keep them creative. I am so excited that Good Cook has not only challenged MY creativity, but theirs as well. Recently, I received this Good Cook Haunted House Cookie Cutter Set and was asked to create my own haunted house. I'll be honest. When I saw I was getting the kit, I thought it would be like the one in the store that comes all premade, for those of us who are not professional bakers. I was wrong. This kit has cookie cutters, with stamps on the back to make the design. Then you can use the additional tools for more stamping. Once the cookies are done baking, you put the whole thing together with icing, and decorate. 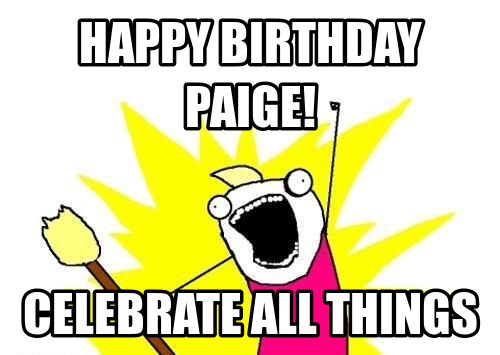 My attempt was a fail. It had nothing to do with the Good Cook Haunted House Cookie Cutter Set, it was 100% me. I didn't research enough to figure out that when putting together a house, you should use what's called Royal Icing. I am 100% confident that if I had used this recipe, my house would have been a lot better. Not perfect, cause, well, I am not THAT good. But, it would have been better. Now, I do love that it's definitely scary looking, we used a cookie spray paint on the roof to make it black, and i wanted to have eyes all over, which I was working on when the whole thing fell over. The Good Cook Haunted House Kit can be purchased on the GoodCook.com website for about $20. Stay tuned next Halloween as I attempt it again! Sweet Creations by Good Cook also sent me this adorable Halloween Cupcake Stand. The boys and I made Pumpkin Cupcakes from a boxed mix, and used orange colored frosting. We then topped with cute little pumpkins. 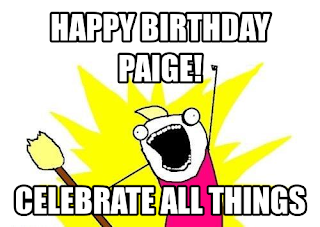 The whole thing is so festive. The cupcake stand it so easy to set up, and at $12.99 it can be folded back down and reused year after year. For a limited time, you can use coupon code “HAUNTED23” to save 25% off any Sweet Creations Halloween products at goodcook.com. 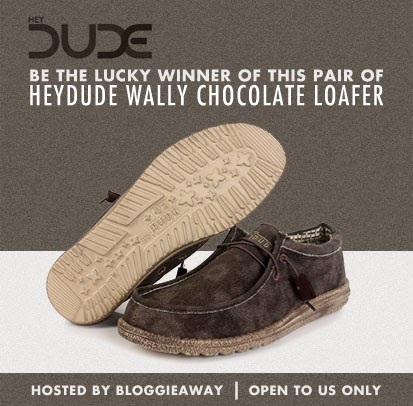 Luckily, Hey Dude Shoes partnered with BloggieAway to offer one lucky dude (or girl!) to win a pair of their very own - Wally Chocolate Loafers, all you have to do is join via the rafflecopter form below. 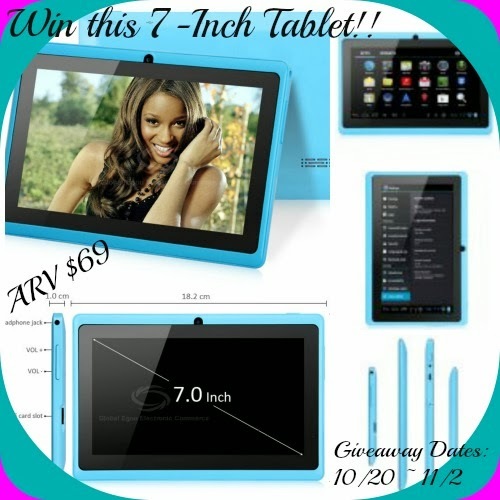 This giveaway will run only until November 11, 2013. Open to US residents only, 18+. If you're like me, and you have an iPhone, you have probably searched for some cool picture apps to use for all your photos. Well, what about a device that you attach TO your iPhone? I recently had the chance to review a Pitch Black DOT by Kotego, and let me tell you, this is one of the coolest devices ever! You can purchase your own Pitch Black Dot by Kotego here for $39.00. It's also available in a variety of colors other than black. 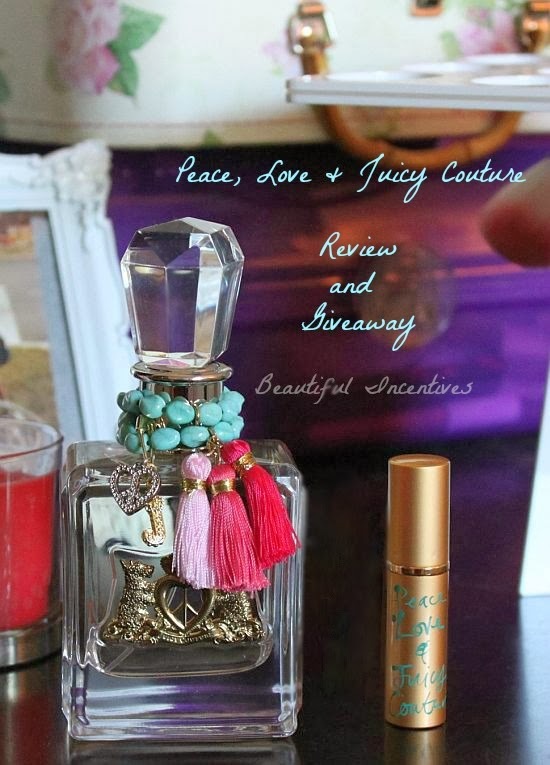 One reader is going to win a DOT of their own! Enter using the rafflecopter form below. Good Luck! 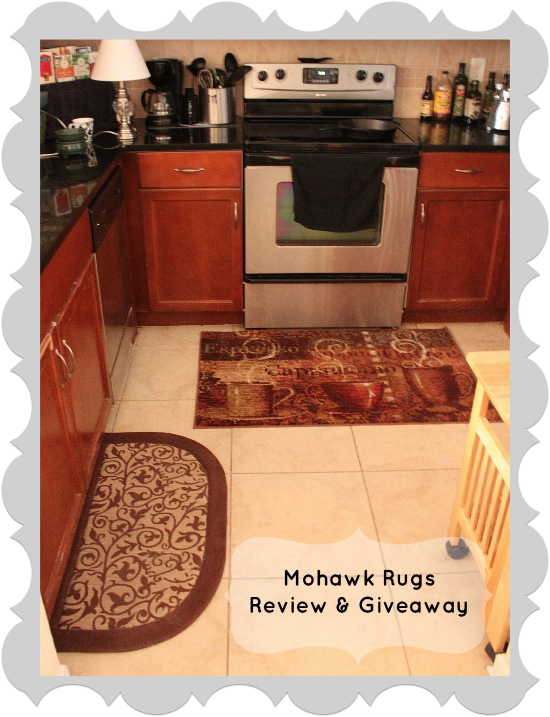 Whole Paws Pet Food by Whole 365 Review and $50 Gift Card Giveaway! Since I was a child, I have always had a pet. I don't feel like my life is complete by any means without a dog and at least one cat running around. Recently, we adopted a puppy, and we have 4 adorable kitties. I haven't always made the right decisions in my pets' lives. For example, years ago, when my husband and I were not doing very well financially, we fed our dog food from the dollar store. It was the best we could do, besides give him up, and he had been ours for 10 years, so we didn't want to have to do that. A few months later, Gizmo died. The vet told me it was kidney stones, more than likely due to cheap food. After that moment of losing him, I swore that if I had a pet, I would take care of it the right way, and if I feel like I can't, I will get help. Whole Paws is a great way to feed your pet. It's premium pet food, found at Whole Foods Market. We recently had the opportunity to try some of the canned varieties on our pets, and I can tell you, they love it. I took a photo of what's inside the can of dog food, because to me, it looks good enough for people! Can you see the whole peas and diced carrots? There are also diced potatoes and meat, all in a thick gravy..it looks delicious! Made with real chicken, salmon and other wholesome, nutrient-rich ingredients, Whole Paws® – contains NO corn or soy, NO animal by-products, NO artificial colors, NO artificial preservatives and NO added sugar— and the new line meets all of Whole Foods Market’s strict quality standards. 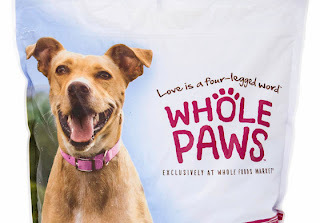 Whole Paws products officially hit store shelves on October 1st and will be available exclusively at Whole Foods Market locations nationwide. 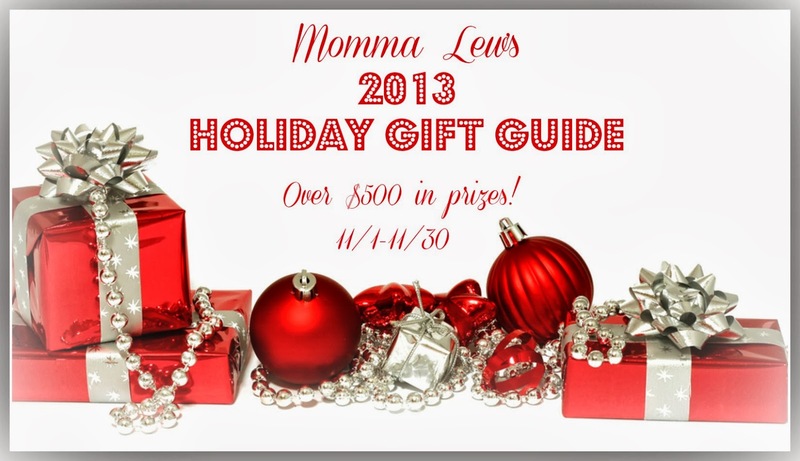 One reader is going to win a $50 Whole Foods Gift Card to buy some of their favorite products! I use my iPad a lot when I am home schooling. The boys also have to do a certain amount of work on the tablets, and their fingers are always not hitting the right spots. So when I started looking into getting a stylus (or 2...) I knew I wanted to get best I could find. The Bamboo Stylus Solo is made of durable, quality materials and crafted with care. The rubber nib is protected by a metal cap and can be easily exchanged with affordable replacement nibs. I also liked that is was 8.4mm in circumference, that means my boys hands will be able to grip it really well! The boys love all the different colors! With the Bamboo Stylus Duo you can enjoy the best of both worlds with the combined power of a digital stylus and a traditional ball point pen in one stylish device. This two in one pen has excellent performance both on screen and on paper – thanks to a slim, responsive rubber nib and a ball point with a high-quality ink refill. Just like the solo, the duo also comes in all these awesome colors! My boys really love their Bamboo Stylus Duo and Solo, and at just $19.99 and $29.99 respectively, they are a great price for a great tool.